Assif Izagzaoun at an altitude of 1800m. We will spend the night in a local family home. 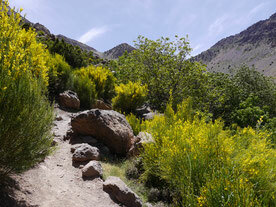 We will start after breakfast our way to Tizgui (1800m) – ascending the summit of Mt. Assaka (2170m) and then descend towards the Goudafa (Tizgui) valley. The night we will spend in a local house. 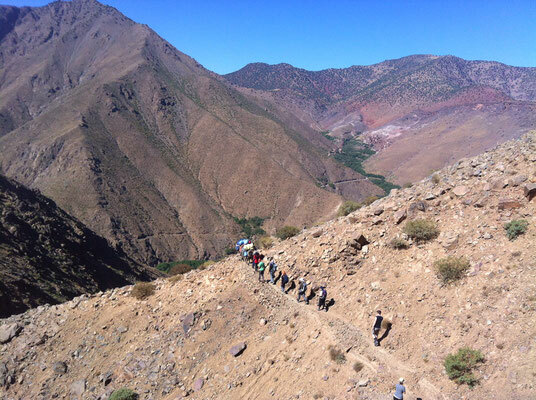 The way from Tizgui to Tizi Oussem leads us to the pass of Tizi Tougdalt (2700m), also called the “Mount of Winds”. 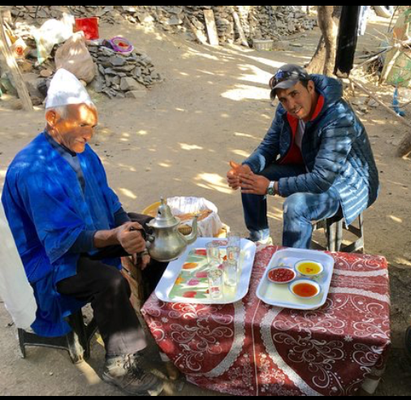 Our way runs through a beautiful forest of junipers and we have the chance to see nomads, who left their families to spend the summer away from home to feed their animals. 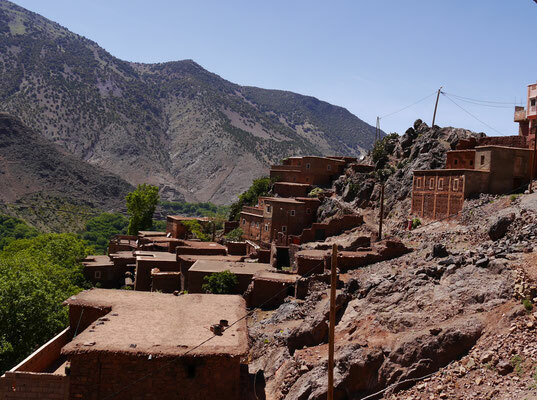 In Tizi Oussem we spend the night in a gite. After breakfast we leave towards the waterfalls of Tamsoult, having also lunch there. 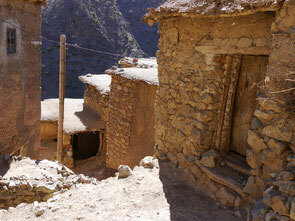 Here we change to the Azzaden-Valley, also called the 'Valley of the 1000 colors'. 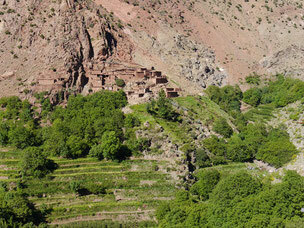 We pass Tizi n'Mzik and then will arrive in Imlil, our final destination. Prices depend of number of persons. 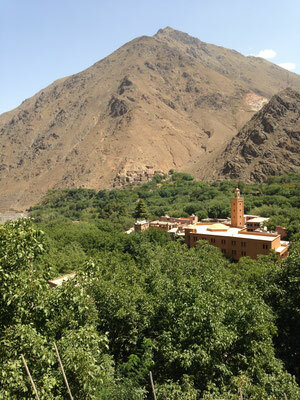 Are you in the Ouirgane / Marigha area already or do you need transfer from Marrakech? Good walking boots are necessary. Don't forget sunglasses, sunprotection and walking sticks (optional). Please note that we are currently able to accept cash only!